Gift Certificates make a perfect gift when you just don’t know what to pick out? Unsure on a size? 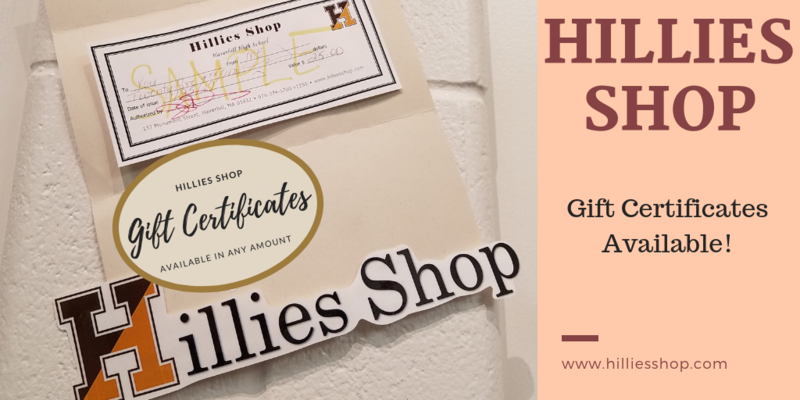 Grab a gift certificate! We have them available in any amount. Stop in to the shop to pick one up. If you were waiting for a Hoodie in your size, the wait is over! 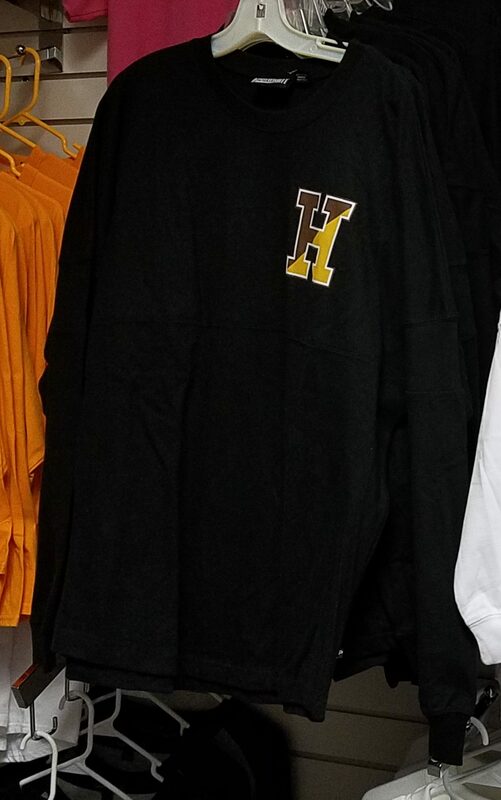 The Hoodies are back in stock! Also in are Long Sleeve black tee shirts. Thursday, November 15th, the Hillies Shop will be open extended hours for Parent Teacher conferences. 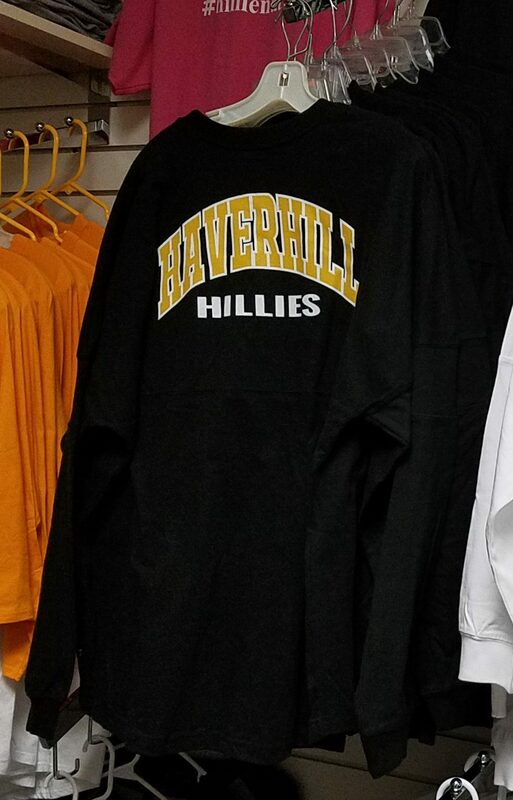 Be sure to stop by if you are looking to purchase some new Hillies gear. Remember, we are only able to accept payment in the form of cash or check. This shirt would make a great addition to anyone’s casual Friday attire. Pair it with jeans or a pair of khakis and you’re ready to go! We are hearing great things about its rich charcoal color. Come check it out for yourself and let us know what you think. 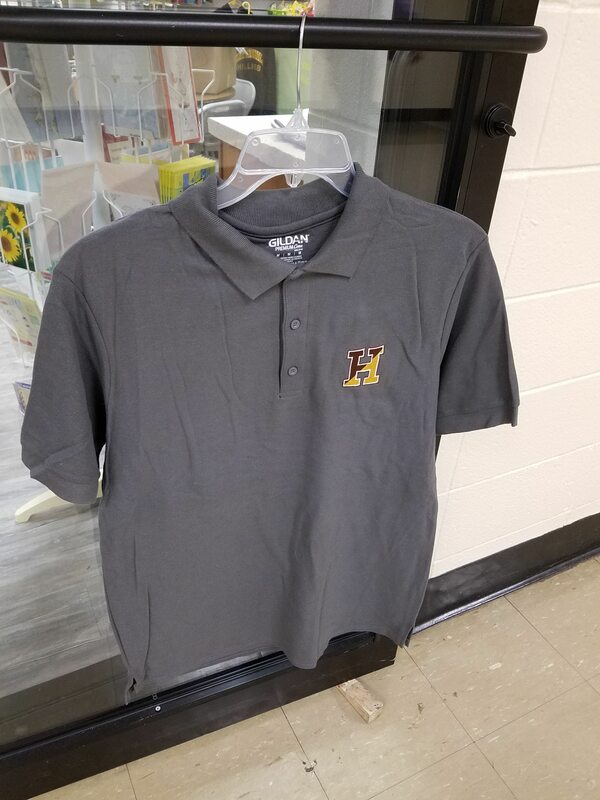 We still have a limited amount of white and black polo shirts available. 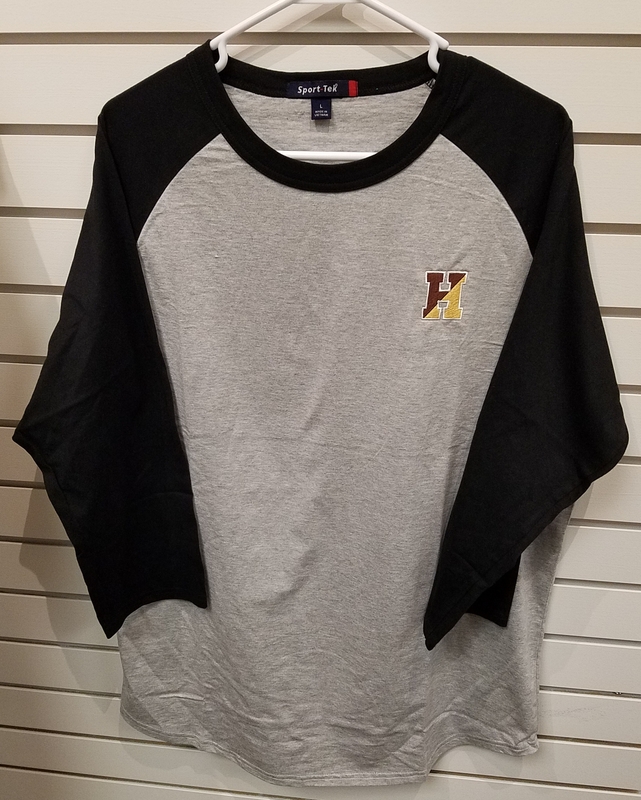 For those of you who were recently in and couldn’t find a Black and Grey Raglan (baseball style tee) in your size, worry not. They have been reordered and should be back in stock any moment now. Keep checking back. We’ll keep you posted when they arrive. Our Long Sleeve Pennant Tee is back in stock in all sizes. 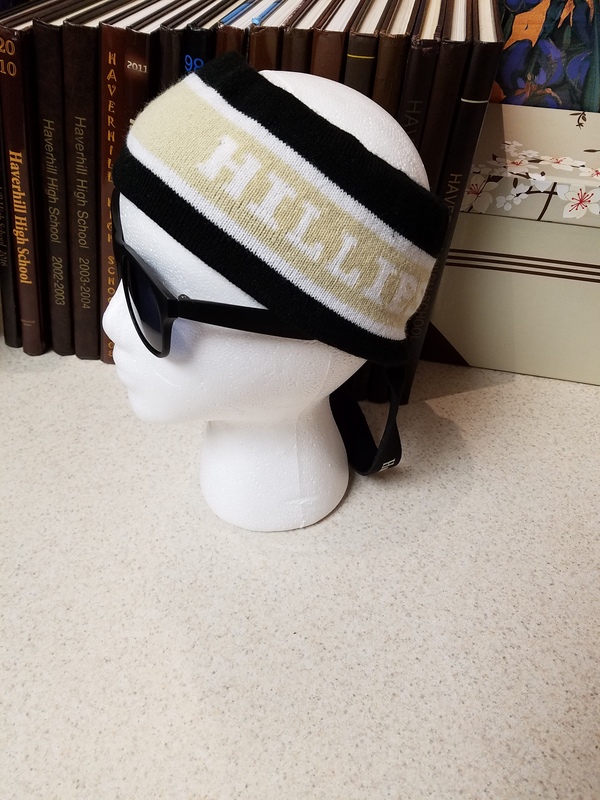 Haverhill Hillies Knit Headbands: We’re very excited to be able to offer these! Hoodies, Long Sleeve Tees and Zip Hoodies are on order! Don’t worry if you can’t find your size! We’ve got you covered. Finally, thank you for all of the support and patience during Spirit Week! 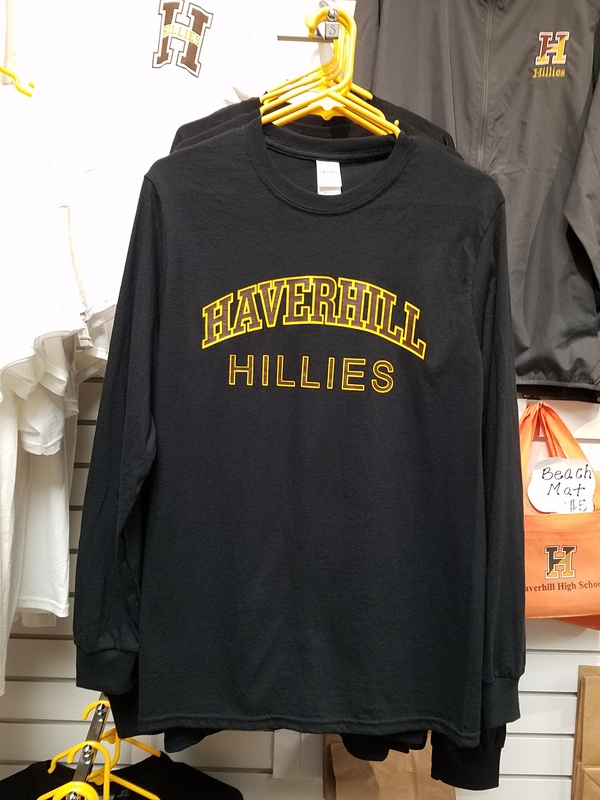 We love our Hillies Shop customers! 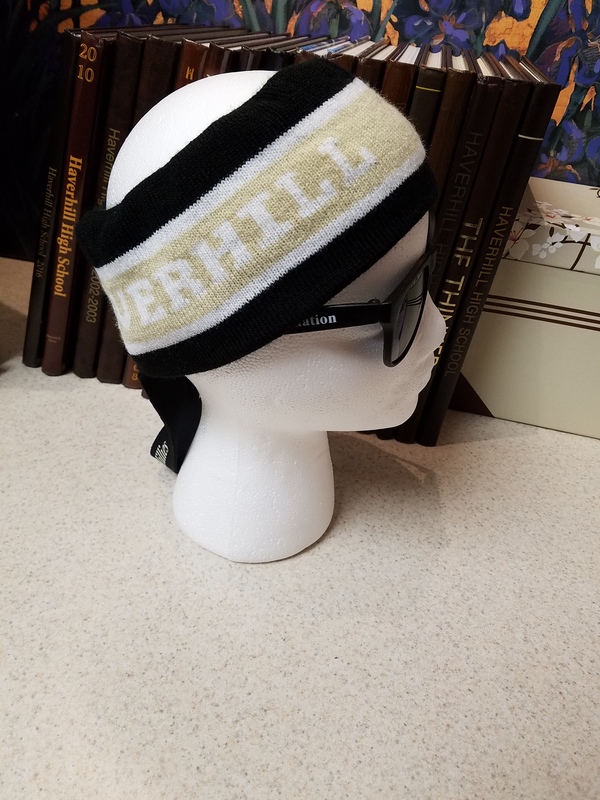 UPDATE: Shirts and headsbands are in!!!! !